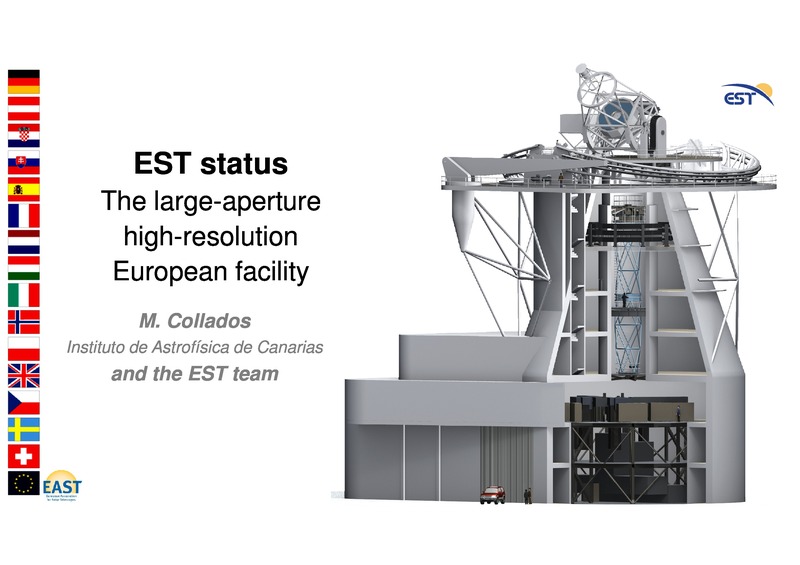 EST will be the largest solar telescope ever built in Europe. With a 4-metre primary mirror and state-of-the-art technology, it will furnish astronomers with a unique tool to understand the Sun. The main goal of EST is to investigate the structure, dynamics, and energetics of the lower solar atmosphere, where magnetic fields continually interact with the plasma, and magnetic energy is sometimes released in powerful explosions. Understanding these phenomena requires observing fundamental processes at scales of about 30 kilometres on the solar surface and short time scales. To accomplish this goal, EST will be equipped with the most advanced adaptive optics system and a suite of innovative instruments for high-resolution, high-sensitivity, multi-wavelength spectropolarimetric observations. The EST consortium successfully accomplished in 2011 the EST conceptual design, based on novel approaches thanks to the expertise accumulated by the EST partners in building powerful solar telescopes and instruments during the last decades. The inclusion of EST in the ESFRI roadmap in March 2016 represented a key milestone for the project, since it was recognised as a strategic European infrastructure that is expected to be ready for operations in about ten years from now. All these elements have led to the start of the Preparatory Phase of the project as an intermediate phase to consolidate its science goals, technical definition, legal issues and national budget contributions. In this talk, the most relevant aspects related to the present status of EST will be presented: main innovative technical characteristics, timeline, budget, preparatory phase, location of the facility, future legal entity for its construction and operation, as well as the expected involvement of the different European countries.